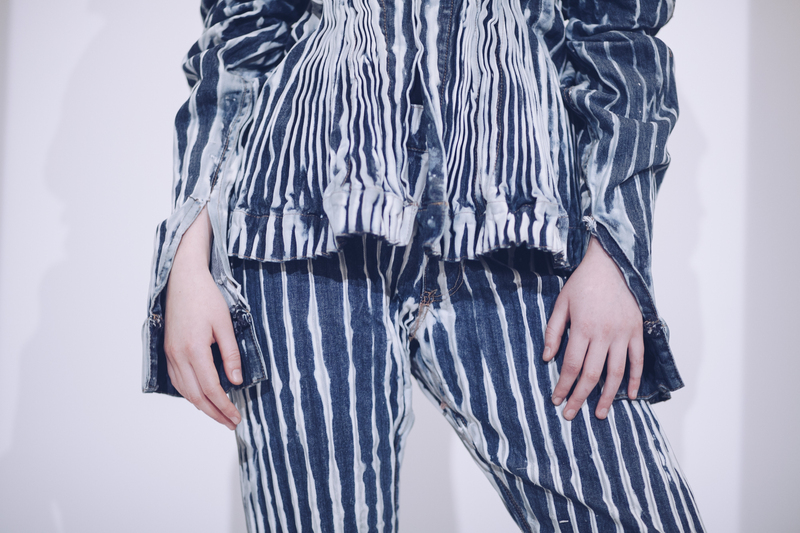 The Centre for Fashion Enterprise(CFE), based at London College of Fashion, UAL is relocating its Manufacturers Trade Show so that it runs alongside luxury fashion fabric show, Textile Forum, at One Marylebone, London, from 11-12 October 2017. “The two shows will provide designers with an unrivalled opportunity to source quality fabric and garment manufacturing under one roof,” says Linda Laderman, co founder Textile Forum, which is celebrating its 15th anniversary this year. CFE is London’s pioneering Fashion and FashTech business incubator whose purpose is to fast-track designers and entrepreneurs into successful businesses. Current businesses supported include Wales Bonner, Liam Hodges, Faustine Steinmetz, Roberts Wood and Alex Mullins. The Manufacturers Trade Show is a part of CFE’s Fashion Technology Emerging Futures (FTEF) project, part funded by the European Regional Development Fund (ERDF). According to UK Fashion & Textile Association more than 80 per cent of fashion businesses are ‘micro SMEs”. “The vision for our Manufacturers Trade Show is to connect fashion businesses with high end production units with a view to developing long lasting relationships. There is a strong synergy with visitors attending Textile Forum so we are delighted to relocate and provide our exhibitors with a two day event,” says Judith Tolley, head of CFE. The first CFE Manufacturers Trade Show took place in July this year at York Hall, Bethnal Green. Textile Forum exhibitors will be showing more than 70 collections of fabrics for spring/summer and autumn/winter. CFE will showcase over 20 exhibitors who can produce smaller scale quantities for fashion entrepreneurs.